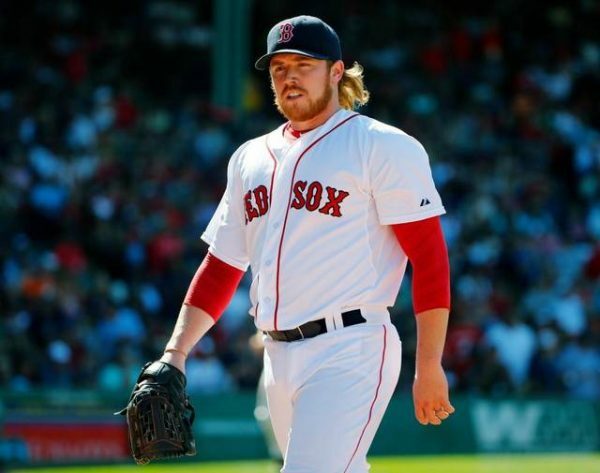 One of the main concerns the Toronto Blue Jays have for this offseason is upgrading their pitching staff, with their eyes most recently set on relief pitcher Robbie Ross. Ross, 28, is coming off a season without much to show for it. An injury meant he was active for just 9 innings in 2017 for the Boston Red Sox, not counting his triple-AAA appearances. The Red Sox could have had him for one more year of arbitration, outrighting him, and he selected free agency. Ross will be healthy for spring training, and will probably be a value pick up for a team interested in a lefty reliever. He did a good job as a setup guy in Boston the season before, finishing with a 3.25 ERA through 55.1 innings of work, striking out 9.1 batters per 9 innings. During his strong 2015-2016 two season ride, Ross limited lefty batters to just .200 against him, while righties did a bit better, hitting .260. Ross made $1.8 million in 2017, and for the Blue Jays, who don’t have a lot of wiggle room to work with in terms of offering big contracts at this point, Ross could be a very useful, non-risk pick up to improve their so-so bullpen. Ross started his major league career in 2012, and has played for the Red Sox, and Texas Rangers. Through 266 appearances, he has 330.2 innings (had 12 games as a starter) and a 3.92 ERA, with a 1.388 WHIP and 2.28 K/BB ratio.